Chess boxing, invented by Dutch artist Iepe Rubingh, was initially thought to be an art performance rather than a sport. 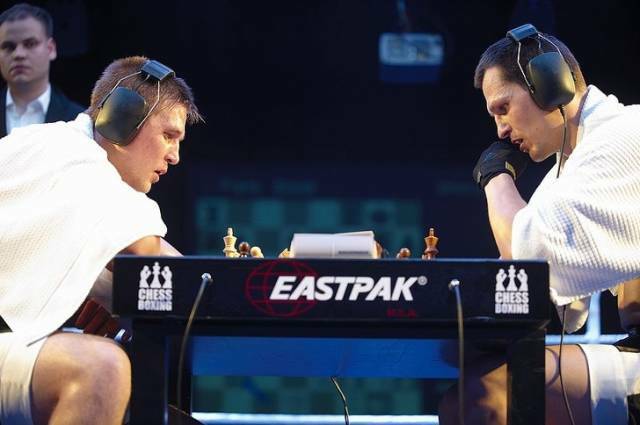 Nowadays, the game consists of 11 rounds— 6 rounds of chess and 5 rounds of boxing. The competitor can win by knockout in the ring or checkmate on the board. Actually, it’s a good opportunity to test both your physical and mental abilities. 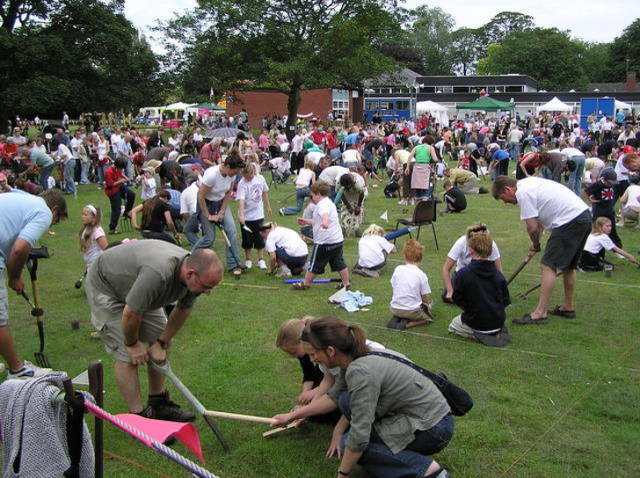 Worm charming is a sport where the competitors are given a 3 m² (9.84 ft²) plot of land and try to extract as many worms as possible out from the ground within 30 minutes. The world record belongs to 10-year-old Sophie Smith who charmed 567 worms to the surface at the World Worm Charming Championships in 2009. Bubble soccer can bring tons of fun not only to the players but also to the spectators. 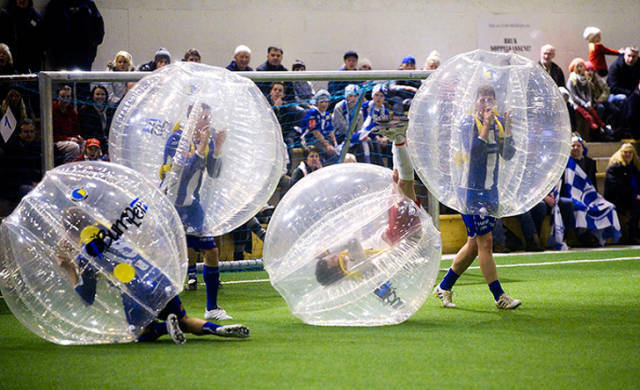 The players are encased in inflatable bubbles which cover their upper body and head. The game was first invented in Norway in 2011. A match is played by 2 teams, each consisting of no more than 5 players. According to the rules of the game, each team must have at least one female on the field at all times during play. The sport of wife-carrying was born in the small town of Sonkajarvi in Finland. Male competitors race while each carrying their wives on their backs through an obstacle course. The history of wife-carrying is based on the 19th-century legend of Ronkainen the Robber. According to one of the versions, Ronkainen the Robber and the members of his gang were stealing food and women from neighboring villages carrying them over their shoulders as they ran away. 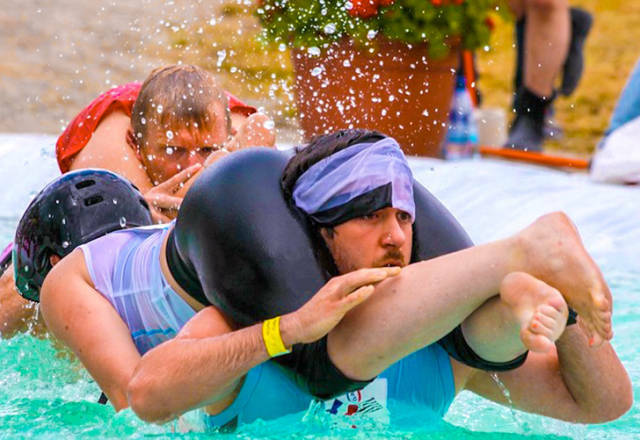 Wife-Carrying World Championships are held annually in Finland and the winner receives the equivalent of his wife’s weight in beer. Bog snorkeling is probably one of the most bizarre sports on earth. 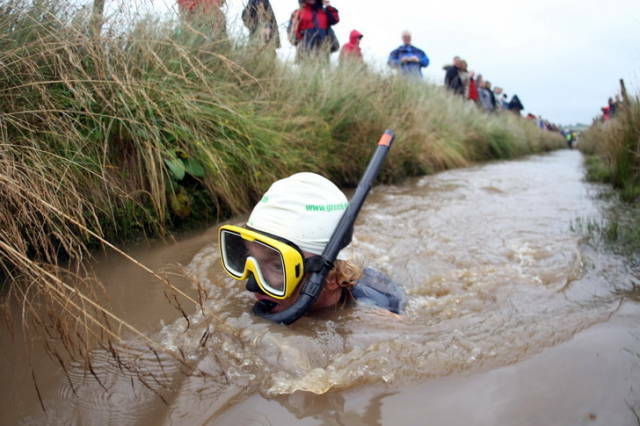 Every year in August hundreds of swimmers all over the world gather in the small town of Llanwrtyd Wells, Wales, to compete in the World Bog Snorkeling Championships. The competitors are required to wear snorkels and flippers and complete 2 lengths of a 60-yard trench without using traditional swimming strokes. Single bamboo drift racing is a popular sport in Southwest China’s Guizhou province. 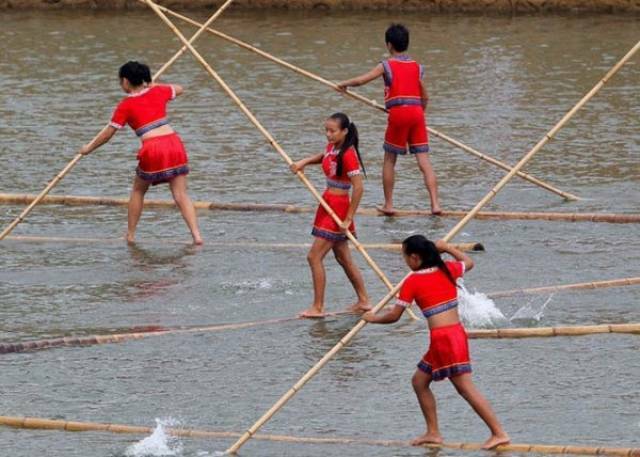 The competitors stand on an approximately 23 ft long bamboo pole and use a thin stick of bamboo as an oar. Initially, bamboo drifting wasn’t a sport but a means of transportation in China. Nowadays, the bamboo is often replaced by a similar-looking green fiberglass poles that are more durable. 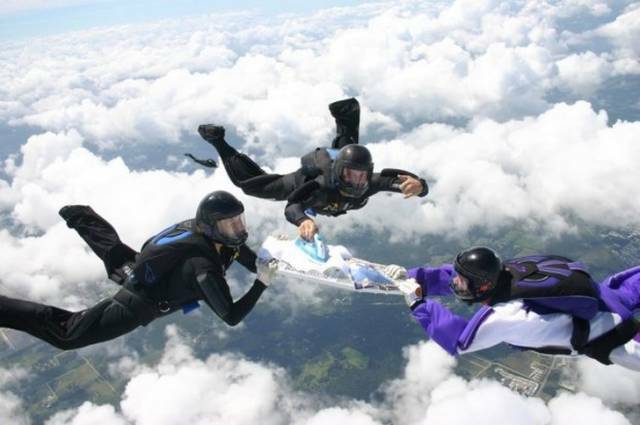 According to the Extreme Ironing Bureau, this is “the latest danger sport that combines the thrills of an extreme outdoor activity with the satisfaction of a well-pressed shirt.” The competitors call themselves “ironists” and go to dangerous or remote places with a board to do the ironing. The activities may include ironing underwater, on top of a mountain, in moving vehicles, in a canoe, in the middle of a busy street, while skiing, skydiving, or snowboarding. 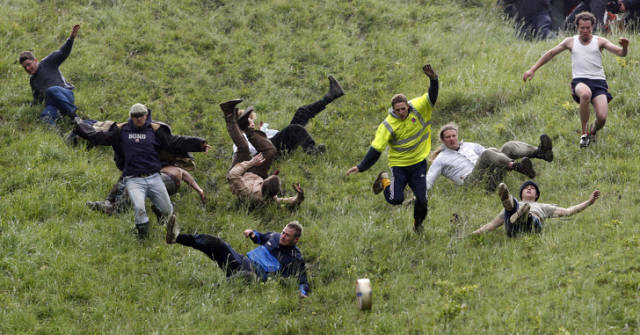 This unusual sport involves 2 competitors trying to pin down each other’s foot to the ground for at least 3 seconds. There are 3 rounds that are played first with the right foot, then with the left one. This strange sport dates back to 1976 when a group of people living in Staffordshire were trying to think of a sport that only the British could win. 2 competitors attempt to stand on a floating log while causing the opponent to lose their balance and fall off. 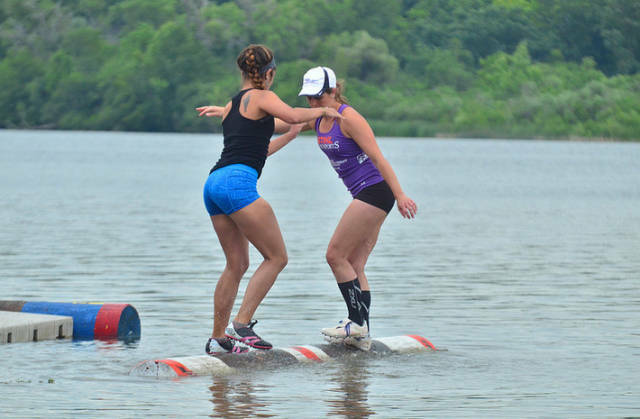 The participants can use a variety of techniques to send each other into the water, like kicking the log, changing its direction, etc. However, they are not allowed to touch each other or cross the center line. This sport requires leg strength and a high level of balance and focus. 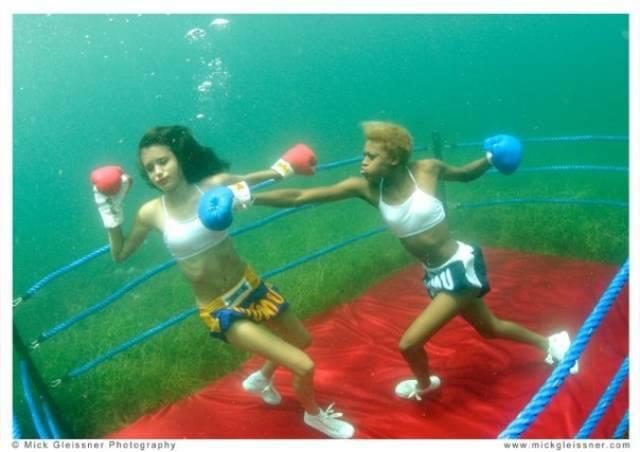 It may sound pretty odd, but underwater boxing is a great option for people who want to start boxing but don’t want to get hard punches on their face and body. Boxers have to hold their breath under water for one minute, for 3 rounds, and surface to get some air in between the rounds. Sheep counting competitions have become fairly popular in Australia in recent years. Contrary to the mental exercise of counting sheep to fall asleep, this sport requires lots of attention and a sharp eye. Approximately 400 sheep are released from a pen and run past 10 competitors who attempt to count them as accurately as possible. 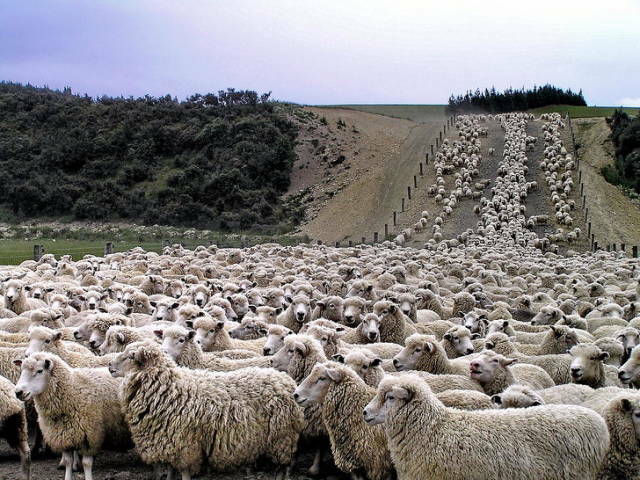 The person who states the exact number of sheep becomes the winner of the competition.